Joanne Gill and her husband Simon are now proud to say they own one of our stunning 4-bedroom Arundel homes at Suttle Gardens. Since moving in back in the spring of 2018, the Gills have been full of praise for their new surroundings. “We were actively looking to move and had been on the lookout for the kind of new build property that could cater for the varying needs of our family. Our previous home had fallen victim to flooding twice in as many years and the heartache of going through it made us want to move for pastures new without leaving the area that we know and love. “Our son has some specific needs when it comes to the home environment and we were conscious that we needed to find somewhere that was private, quiet and enclosed without cutting ourselves off from the wider community and local residents. Unfortunately for the Gills, moving wasn’t quite plain sailing. A series of setbacks when selling their former property resulted in delays which almost cost them their dream home. “Our buyer pulled out just two days before we were due to exchange which was a huge setback. Luckily Maureen was able to take charge and went above and beyond the call of duty to keep the plot open for us and ensure that when our sale finally went through a number of weeks later, that the property we had set our hearts on was still available. 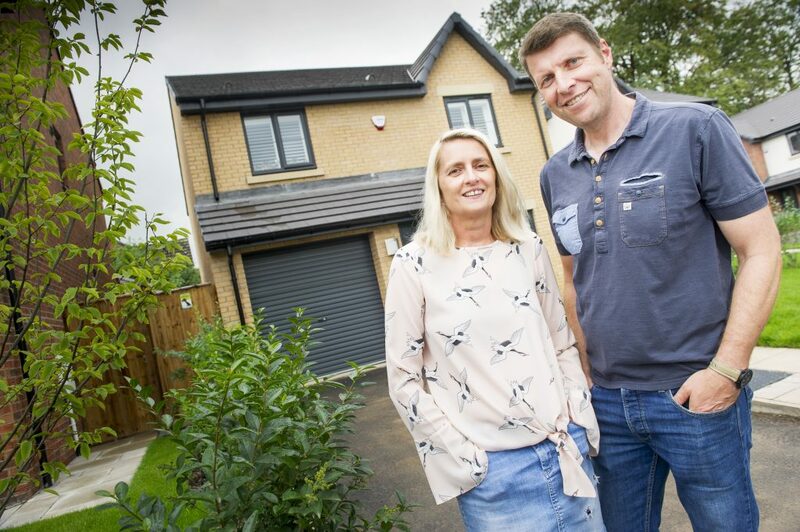 “The build quality of Homes by Esh is exemplary,” says Joanne. “I could see when I first looked around that the construction was on a different level than others I had viewed and I’ve not been disappointed now that I’ve moved in. The house and all the modern touches, such as the anthracite windows, really add to the overall feeling of high quality throughout the home. Located just 3 miles from the centre of Carlisle and with limited properties still available, could Suttle Gardens be the site of your next dream home? Get in touch today by calling 01228 810 300 or drop us an email at enquiries@homesbyesh.co.uk. You can also contact us via our online Live Chat service.